An effortless blend of European sophistication and natural simplicity, Lauretana is bottled directly from the glacial water that springs from the alpine rocks of Mount Rosa in Piedmont, Italy. This source forms the foundation of the Lauretana philosophy, one of purity, elegance and simplicity. These characteristics inform every facet of our business – from the bottling process at the mouth of the spring through to the water’s presentation in our elegant Pininfarina-designed bottle. 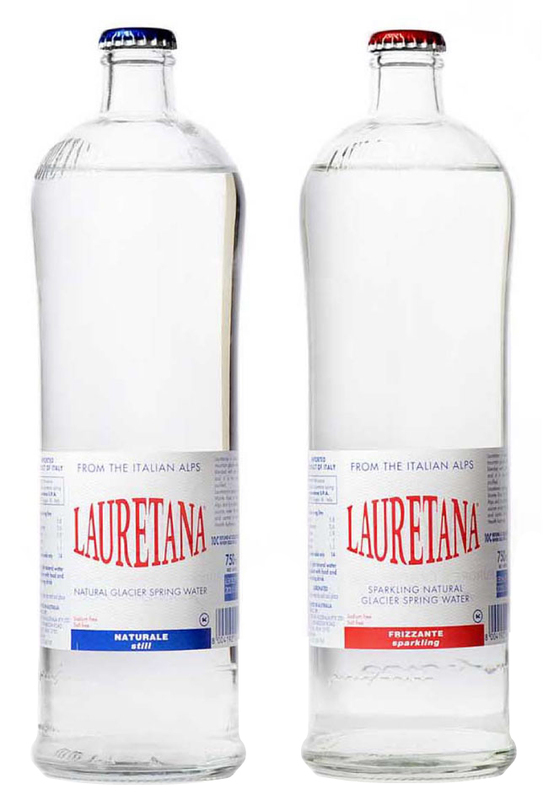 Lauretana is one of the lightest* naturally bottled waters in the world. Its natural purity means there’s no need for filtering or processing, making it a popular choice for discerning drinkers and those who prize organic and biodynamic products. Straight from the glacier to your table, Europe’s lightest water retains all of its natural properties. Unadulterated, pure, natural goodness. We believe our water is for savouring – every single sip. The perfect accompaniment to a meal, our boutique bottles have pride of place atop some of the finest tables in Europe and all over the world. Lauretana glacier water springs clear and uncontaminated from the alpine rocks in the untouched environment of Mount Rosa in Piedmont, Italy. Lauretana’s home was originally the location of the Graglia Spa, founded in 1883. The spa was popular with the European elite and hosted many distinguished guests including some celebrated names from Italian history: Queen Margherita Di Savoia, the politician Giovanni Giolitti, writers Giosue Carducci and Edmondo De Amicis and actress Eleonora Duse. The spa’s waters were prized for their lightness and rejuvenating properties, creating a perfect basis for relaxation and renewal. The Graglia Spa remained opened until the beginning of World War II. In 1964 the current owners bought the estate where the spring is located amongst the alpine rocks at 1,050m above sea level in one of the greenest valleys of Piedmont. Since then Lauretana has been producing Lauretana water, named for the Madonna of Loreto who has a shrine in the original Graglia Spa. The factory is built at 850m above sea level, and equipped with a state of the art bottling plant so we can bring the rejuvenating glacial waters of the Graglia Spa directly to your table without processing or filtering. *Lauretana has an exceptionally low fixed residue (measurement in mg/l of dissolved solids) of just 14mg per litre and an extraordinarily low level of sodium – only 1.1mg per litre, qualifying under FDA rules as salt free.